27th July 2017 malinispace9 Comments on Tempering Spices (Tadka) – What are they and why do we use them. When I was new to cooking, I always wondered why do we temper spices before cooking and sometimes after cooking. I also had some questions like what spices should be used and how it should be used? Does it make any difference in taste and flavor? 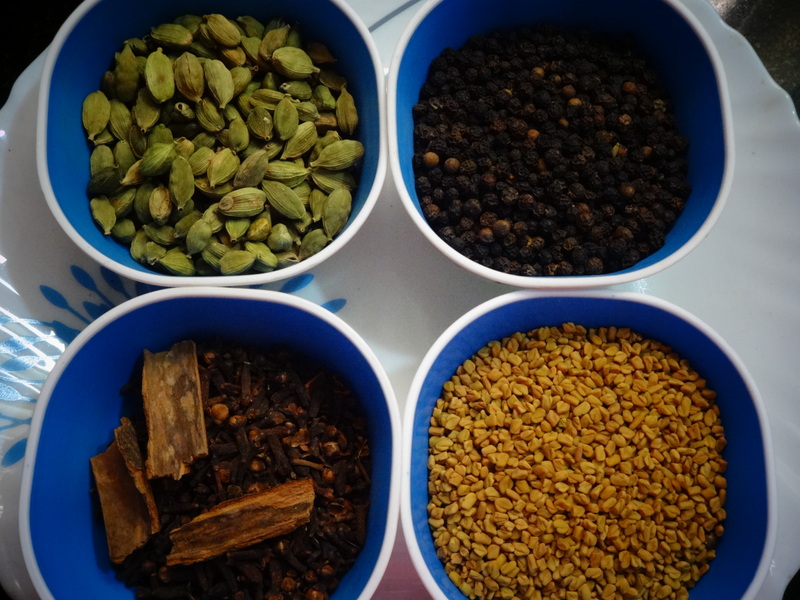 For such questions, I found some answers and understood the importance of spices in cooking. I would like to share some of them with you. Tempering is a cooking technique used in Indian cuisines and some other cuisines as well. Indian tempering is done either at the beginning of the cooking process or as a flavoring at the end of the cooking process. Either we use whole or grounded spices. In India we call it as Tadka as well. It varies based on the region and a dish. By tempering the spices, we extract the full flavor of spices. Which spices are best to fry? How do you fry the spices? There are different ways in frying these spices. Dry roasting or with oil frying. While dry roasting the spices, the excess moisture is removed and it gets more crisper. The spices have to be roasted in medium flame. The roasted spice aroma is very intense. Once it is cool down, The roasted spices can be powdered by using a blender or grind the mixture. Pan frying with oil or clarified butter is one way of frying the spices. When frying the spices, the oil or ghee must be warm not very hot. The spices would burn if the oil or ghee is very hot. The burnt spices would change the flavor and taste of the dish completely. It’s must consider frying the spice in low flame. Actually the roasted or fried spices not only adds flavor to our food, but also holds many health benefits in it. Spices like turmeric, cumin, etc., have excellent healing properties. So it’s good to add to veggies and curries. In almost all Indian houses, the spice box or masala box is available. The general ingredients in spice box are mustard seeds, cumin seeds, split black gram, split bengal gram, chili powder, turmeric powder and coriander seeds. Some people keep either black pepper or cinnamon and cloves instead of chana dal. The remaining spices are stored in a separate bottle. Every spice has it’s own quality in terms of good health. Mustard seeds are a rich source of minerals such as calcium, magnesium, phosphorous and potassium. It has anti inflammatory properties. Cumin seeds improve digestion, beats constipation, regulates blood pressure and heart rate and prevents from asthma and cold. Coriander seeds help to lower blood sugar, ease digestive system, improve cholesterol levels and many more. Split black gram is known as urad dal. It is one of the richest sources of proteins and vitamins. Urad dal is also good for women as it has iron, folic acid, calcium, magnesium, potassium which makes it a healthy pulse. Split bengal gram or chana dal, it’s highly nutritious and it’s rich in fiber, zinc, calcium, protein and folate. It is low in fat and helps to lower cholesterol. Turmeric powder boosts immunity, it’s stronger than vitamin E and stronger than vitamin C, this antioxidant breakthrough may help boost your immunity, maintain normal cholesterol levels. Chili powder increases antioxidant defense, it can assist in red blood cell formation and help in maintaining the healthy blood pressure and support digestive system. Almost every Indian recipe, except dessert, is tempered with spices. Enjoy cooking different recipe with tempering. Very useful tips for beginners! 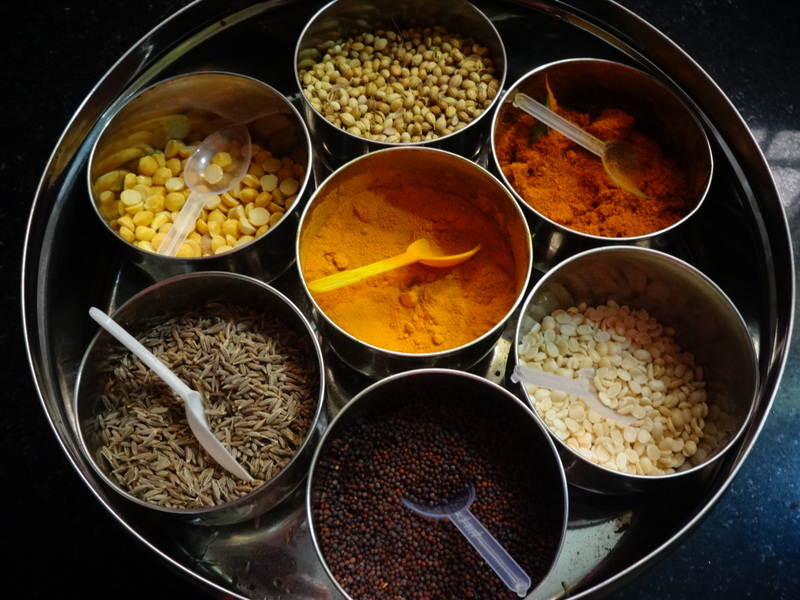 loved the post a lot…Awesome share..
Indian spices play a very big part in our food.